Virginia takes exceptional care of our families, faculty and staff. And she is the “voice” of Seven Hills as she answers incoming calls from her desk - the center of all activity at the school. In her role as office manager, Virginia coordinates everything from phones to printers, from office supplies to field trip bus reservations. Finally, Virginia organizes student records, for ease-of-use during the school year. 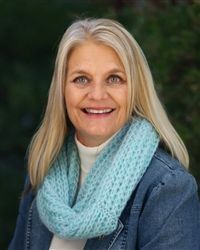 With her three grown children out of college and doing their own things, she and Rudy spend their free time waterskiing, tubing, riding a motorcycle, reading or gardening. 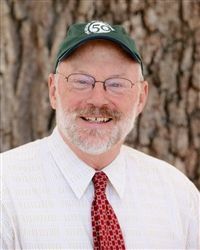 In support of the school’s faculty and staff, Michael's responsibilities run the gamut of finance, insurance, human resources, safety, facilities management, technology, database management and administrative policy. Michael leads the school’s efforts to use our resources of time and talent as effectively as possible, always with an eye toward creating a sound financial foundation and a sustainable future. When not on campus helping the school run smoothly, he is either on, or dreaming of being on, one of the West’s beautiful trout streams. Carolyn plans parent, development, and alumni events throughout the year. From the Welcome Back BBQ to the Headmaster Circle Reception, from the Alumni Reunion to the Senior Send-off, Carolyn knows how to throw a party and make sure everything runs smoothly! She also works with our Alumni Council to promote our alumni program, stay in touch with alumni, and find ways to keep them connected. Away from campus, Carolyn finds time to hike and paddleboard with her dog, Sydney. Rebecca assists the Director of Admissions throughout the admissions season—coordinating tours, parent interviews, student visits, teacher recommendations, application details and database management. 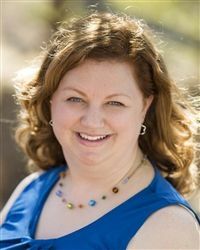 Rebecca lives with her husband, Dan, and their two children and, in her free time, serves as family strategist, chauffeur, cheerleader and loving mom. Riki oversees the event management and execution of several annual events. Working closely with the Director of Development and auction co-chairs, it is her goal to continue the tradition of making the auction and other special events successful, fun and memorable for all. Proceeds from the auction contribute to Seven Hills' general program and endowment. In addition to the auction, she oversees other special events for the school. When not planning an event, Riki is busy raising her two sons and spending time with family and friends. She is a foodie, loves a good workout and enjoys her weekend getaways! Susanne is the first person parents talk to if they are interested in learning more about Seven Hills. She helps them navigate the admissions process—leading campus tours and parent interviews, assessing prospective students and guiding parents through applications and related forms. Her job is to determine the fit between Seven Hills and those interested in joining our learning community. Susanne also works with families who are a great fit with the school and demonstrate financial need. Susanne spends her free time hanging out with her two children, and makes handmade whimsical art that should hang in galleries. 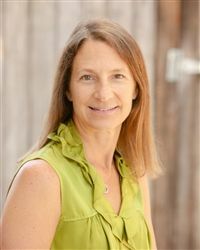 Patty is the assistant to the Lower School Interim Co-Heads, Dan Rogoff and Rhys Miller . She helps Dan & Rhys support all Kindergarten-3rd Grade teachers, students and their families by keeping things running smoothly. When she isn’t at Seven Hills, Patty enjoys running, hiking, good food, travelling and time with friends and family. She and her husband have a busy household, with three children and three dogs. Corinne is responsible for maintaining the school’s standards of internal and external communications. 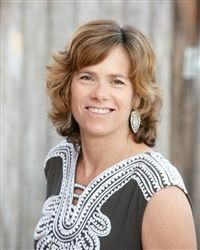 She promotes Seven Hills’ unique educational program and strong school community with integrated content for the School’s website, social media platforms, email, and print communications. 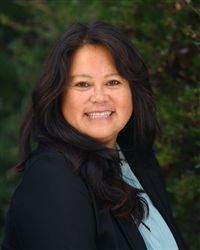 She is a proud UC Santa Barbara alumna and participates in many UCSB recruiting events. She lives with her husband and dog, and is most happy when she is near an ocean or lake, volunteering at the animal shelter, enjoying good coffee, or hiking a trail. Jesús is indispensable. We call him when we need something built, something moved, something fixed or something figured out. From sign frames to fence posts, from leaky pipes to banners, Jesús is the first person we call when we’re in over our heads. Kim plays an integral role in creating and managing the integrated information systems that help the school run smoothly. 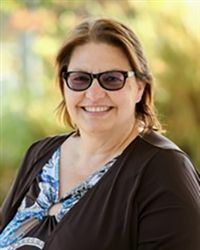 She also maintains the databases that keep student and family information (registration, directories, conference schedules, report cards, emergency cards – you name it) in good order. When not in front of her dual-screen work computer, she’s busy with her son and daughter (both Seven Hills students! ), loves going to the theater and concerts with her husband, Pat, and traveling whenever and wherever she can. She’s also an avid professional cycling and hockey fan. If she disappears, check Disneyland. Dan wears many hats in development and parent relations. His main focii are donor database management, gift processing, and acknowledgments, and he also plays a key role in the execution of annual giving, auction, and alumni relations. Dan generates information needed to create and send out a variety of mailings throughout the year while supporting schoolwide events that inspire philanthropy for Seven Hills. 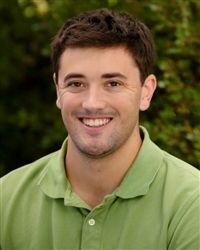 As an avid sports fan, Dan can be found at A’s games and any sporting event in which a Saint Mary’s Gael is competing. His big, extended family lives all over the Bay Area, and he enjoys nothing more than traveling to visit friends across the country. Renee's job to ensure that all of the school's technology works. There are thousands of technology components working together, from laptops, iPads and desktops to servers, routers, and fiber runs. Renee and her team are out and about, in offices and classrooms, to support end users. Whether it’s a simple printer jam or a month-long, integrated, technology-infused multimedia project, Renee and her team are there. 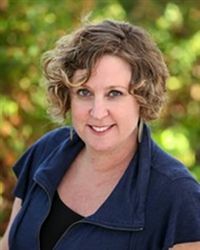 In her off time, Renee is usually on a computer, attending webinars, contributing to listservs and interacting with other tech directors at schools and businesses all over the world. Stephanie pays the bills, in charge of accounts receivable and accounts payable, and reconciling our bank statements. She also manages all personnel details, receives families’ contracts and payments, and coordinates our hot lunch program. Finally, Stephanie runs our facilities rental program and manages the ever-growing school calendar. When Stephanie is not on campus, she is guiding her college-age daughter, heading to Disneyland or a Disney cruise, learning more about California wines or traveling to far-flung locations. Katherine assists the Head of School by managing her calendar and handling special projects throughout the year. An important part of her responsibilities is making sure that Kathleen is engaged with students, teachers, parents, trustees, administrators and staff as we all help realize the mission of the school. One of Katherine's daughters is a Seven Hills alumna and the other is a student in our Middle School. Amy builds relationships that inspire support at Seven Hills. She helps raise private support to augment tuition and pay for long-range capital improvements, engages parents in the life of the school and strengthens relationships with our alumni families and grandparents. Amy spends her time off-campus shuttling her two boys, overseeing homework and connecting with friends. Family life revolves around athletic events—De La Salle football, Saint Mary’s College basketball and lots of baseball and soccer games. With family in New York and southern California, vacations are spent traveling to see family and friends outside the Bay Area. 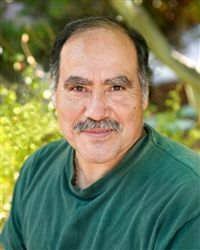 Ponce, as Facilities Director, has been at Seven Hills for a few years, and we couldn’t run the place without him. He manages Seven Hills facilities and grounds, helps us schedule and set up for big events and is the go-to guy for all the details that make our campus beautiful. When Ponce is away from Seven Hills, he enjoys time with his lovely wife, Lourdes, and their first grandson!